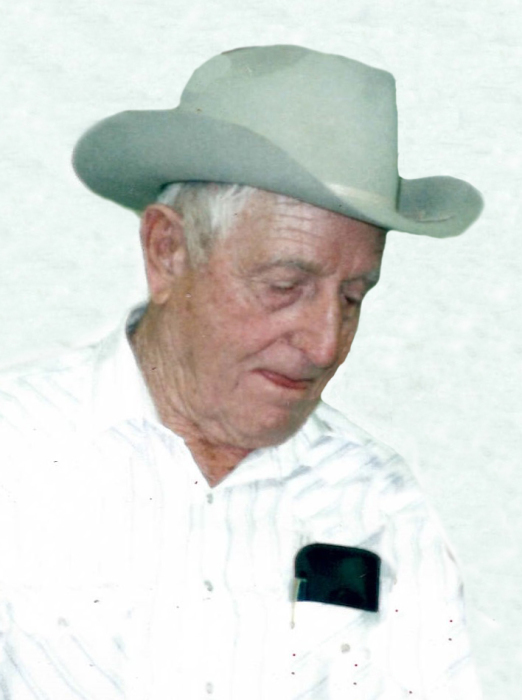 William V. Hayhurst, 98, of Silver City passed away on Monday, February 11, 2019 in Wilcox, Arizona. A Funeral Service will be held on Tuesday, February 19, 2019 at 11:30 in the morning at Baca’s Funeral Chapels in Silver City. Concluding services and burial will follow at one o’clock in the afternoon at Fort Bayard National Cemetery. Officiating will be Minister Norman Ruebush. Serving as pallbearers will be Earl Thomasson, David Anderson, Mike Anderson, Dana Woods, Chris Woods, Tracy Pierce and John Pierce. William was born on February 2, 1921 to Lon Hayhurst and Birdie Thigpen Hayhurst in Abilene, Texas. He lived in several states and then in 2004 William and his wife, Alma came to Silver City. William loved to travel, ranching and looking for gold. He was a fiddler make and he would go to the nursing homes to play music for them with his fiddle, guitar and mandolin. In the last three years of his life, William would spend his time in Wilcox with Earl who was his nephew and caregiver. He worked for the US Forest and retired after 27 years of service. William will truly be missed by all who knew and loved him. William is survived by his step-children, Rosemary Wright, Solomon Hayhurst and Don Hayhurst; numerous, grandchildren, great-grandchildren, nieces and nephews. He was preceded in death by his parents; his first wife, Minnie May Hayhurst of 50 years, his second wife, Alma; daughter, Billie Mae Hayhurst; brothers and sisters.